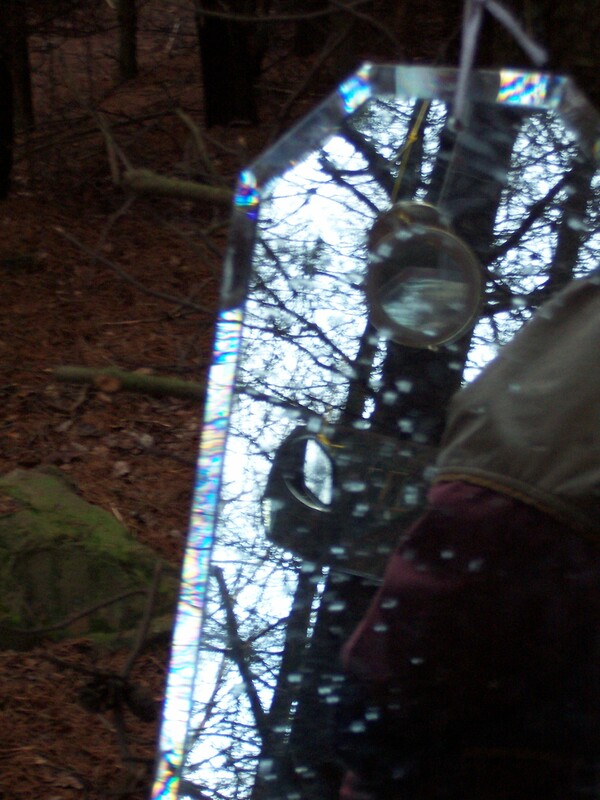 Your Nature Reflected was a site-specific installation created one wet and wintry January. 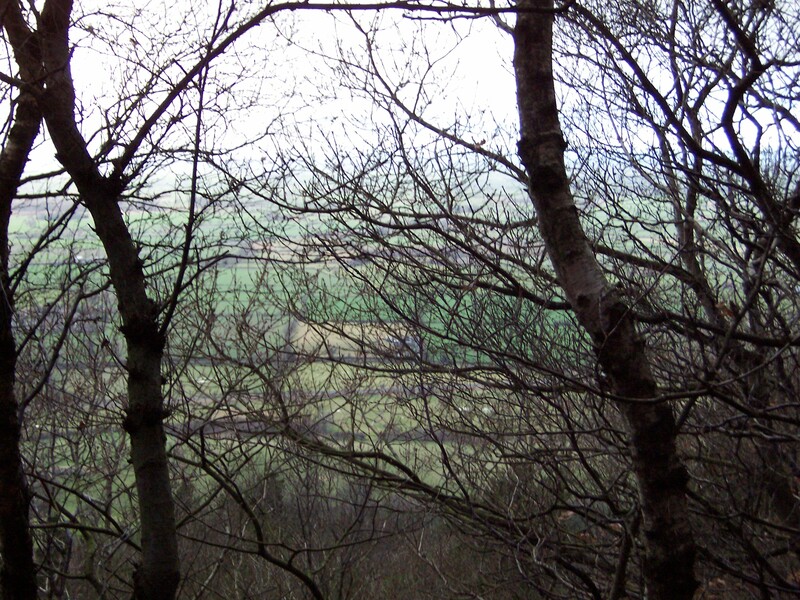 The installation was created just off a well-trodden path that forms part of the Coast-to-Coast walk and the Lyke Wake Walk, at one of the highest points in the North York Moors from where one can see across to the Pennines on a clear day. 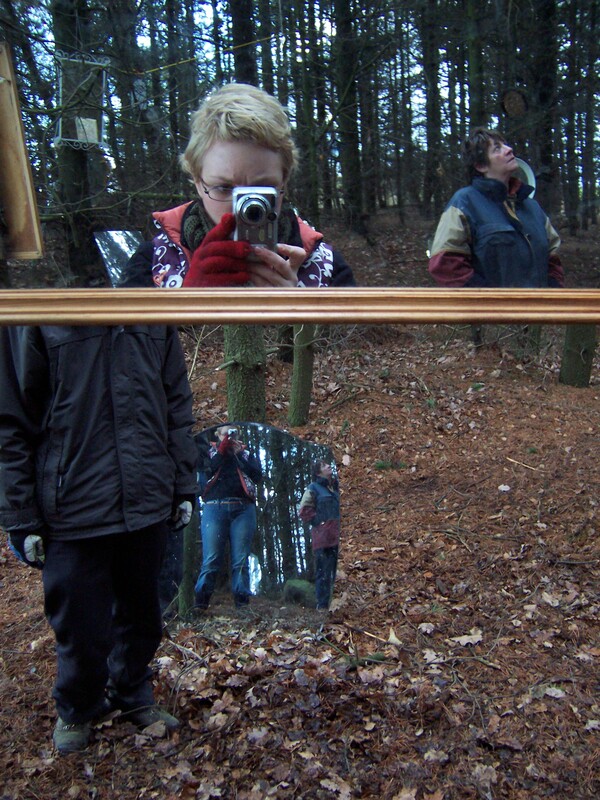 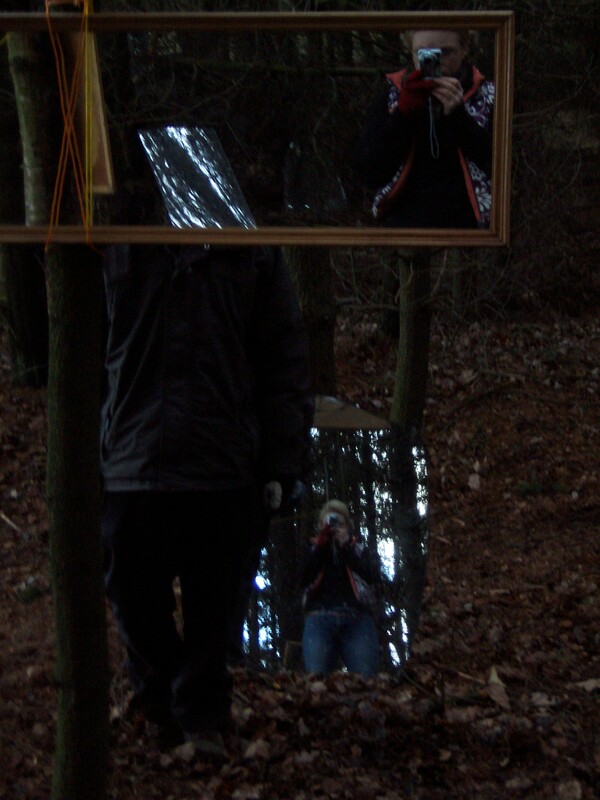 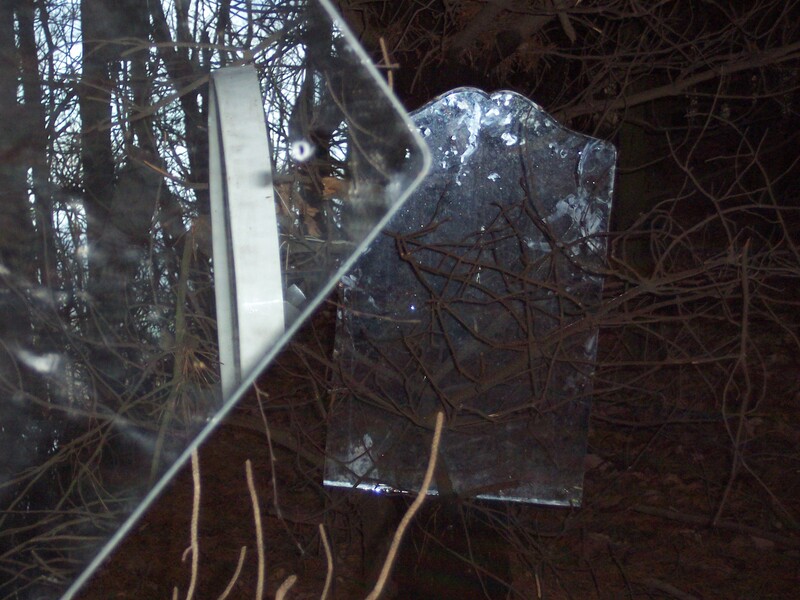 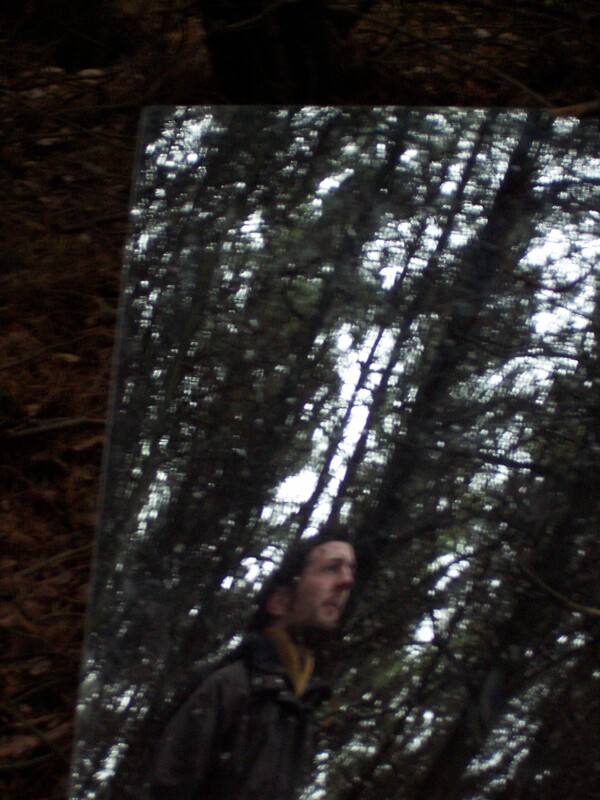 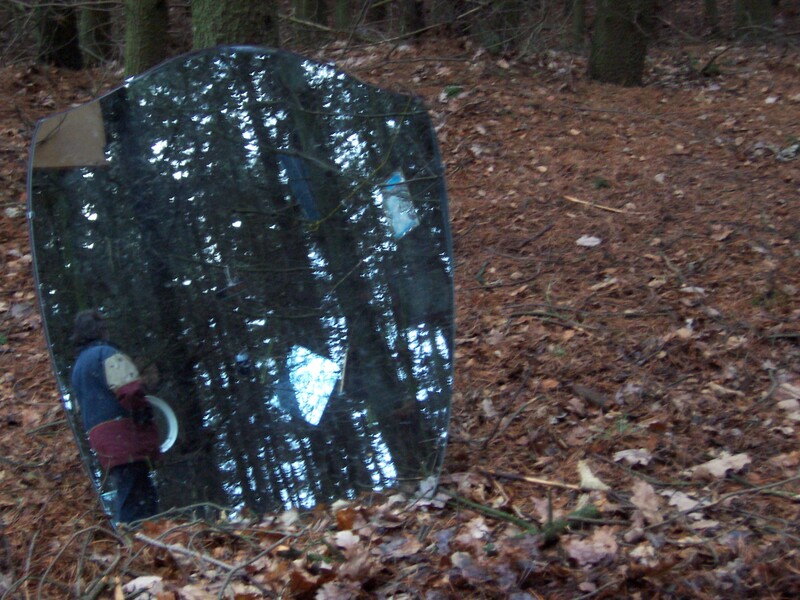 A selection of domestic mirrors placed on the floor like stepping stones led the visitor (some unsuspecting, others seeking out the installation) off the main path into a natural clearing in a wooded area. 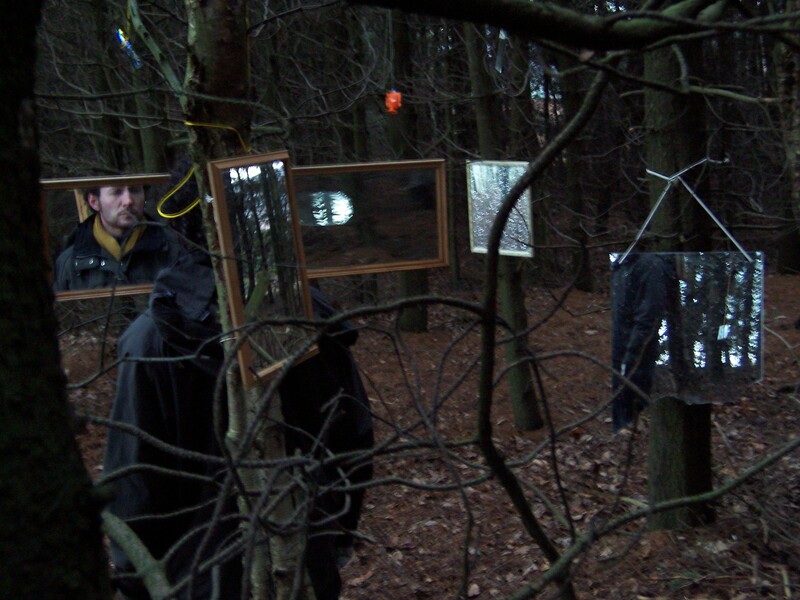 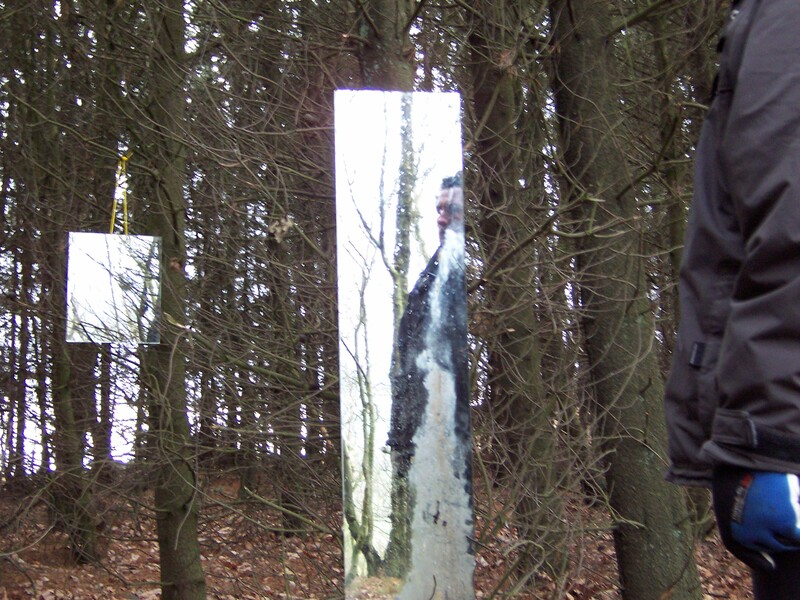 Once in the wooded area visitors found themselves surrounded by more mirrors, some suspended in trees, some propped against vegetation, others placed on the ground – all moving at the mercy of their natural environment. 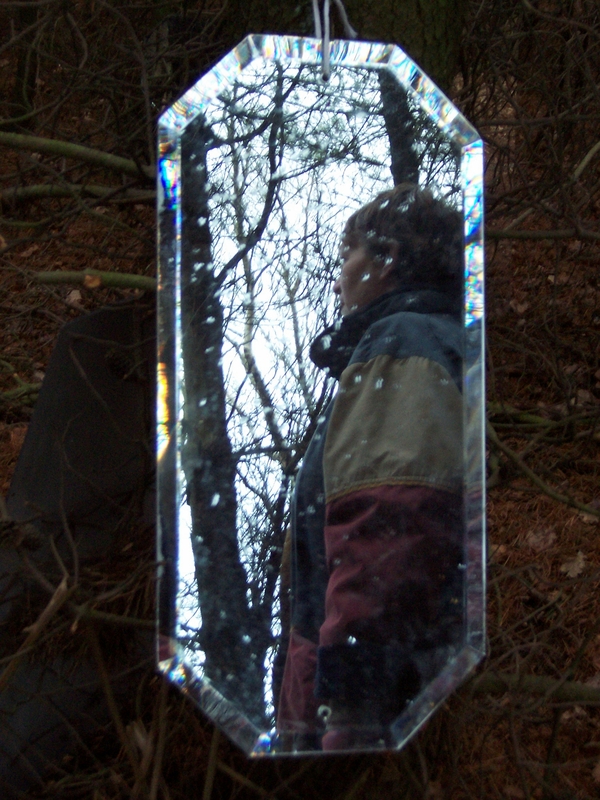 Stood in the center of this opening it was impossible for one’s reflection not to be caught in at least two of the mirrors, and as visitors’ senses became increasingly heightened to their environment so they caught their own fragmented, moving reflections, and the reflection of others in this space. 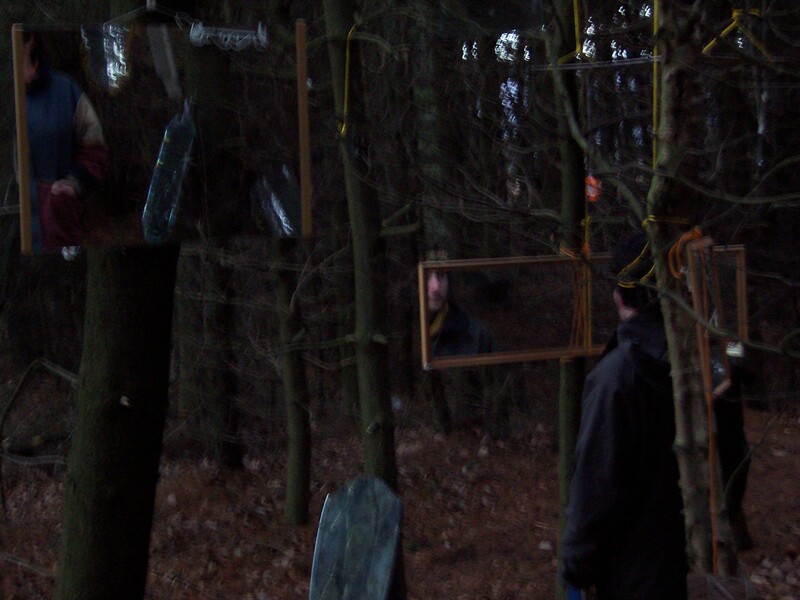 Holding the visitors’ attention were two hyper-real soundscapes also positioned in the clearing. 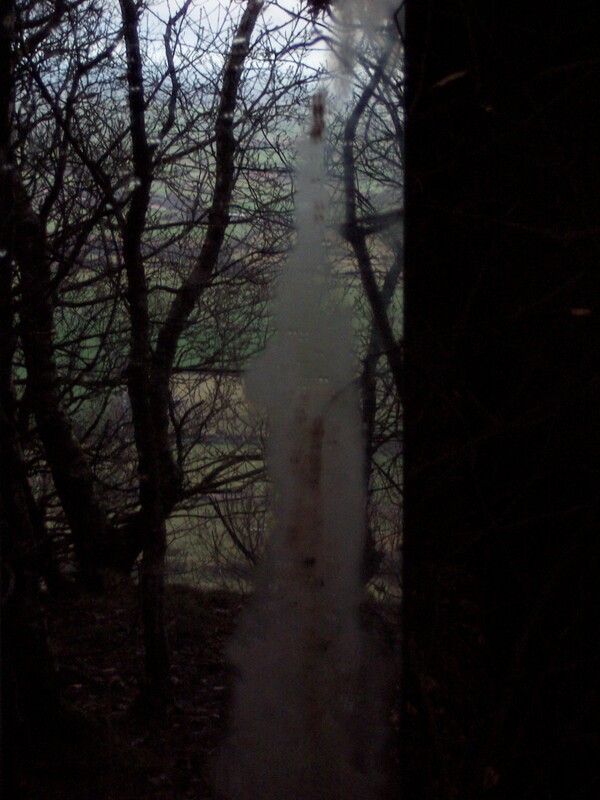 These sounds were those that Mayhew had heard whilst spending time in the clearing, and then recorded at source – the sounds were diverse, some local, others far away: leaves and branches crunching and breaking beneath footsteps, airplanes, lorries and other traffic travelling along a duel-carriageway, birdsong, snippets of conversation etc. 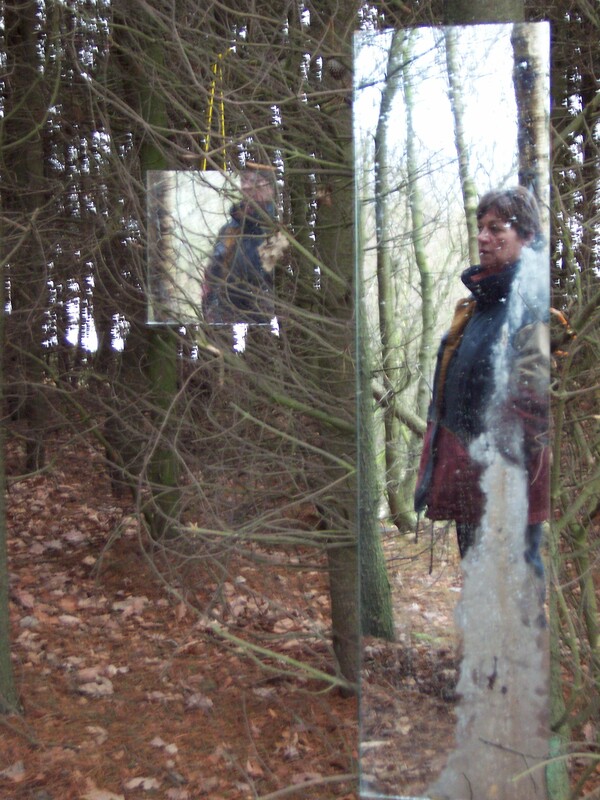 The sound sources were concealed, and the wind in this exposed opening often whipped the sound around making it difficult to identify the source, and heightening one’s experience of the surroundings even further, ultimately leading the viewer to a full-length mirror at the edge of the opening. 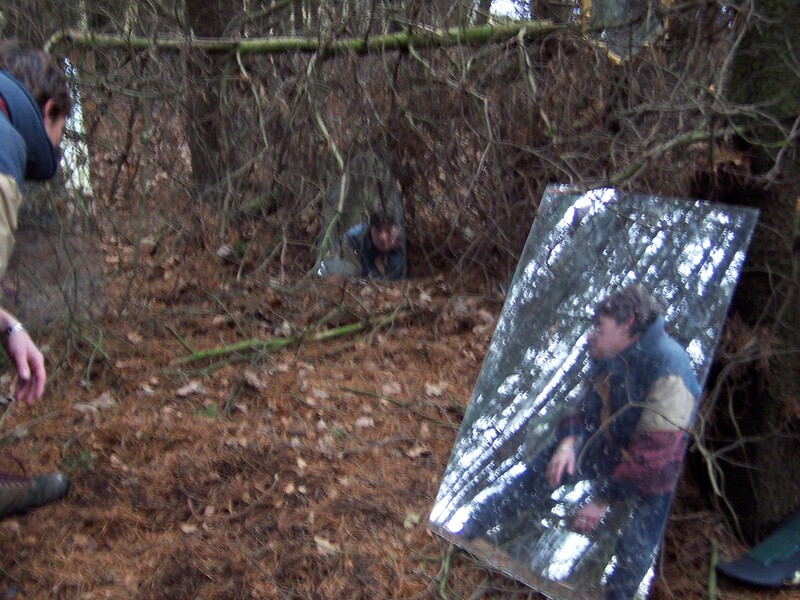 When stood looking at oneself in that full-length mirror one could see, reflected in the background, the various sources of the sounds, if one chose to look beyond oneself and seek to identify them.